Born on November 5, 1940, Cedric Robinson, one of the nation’s most influential political scientists, on died on June 5, 2016. Robinson was born and raised in a working-class neighborhood of Oakland, California, the son of Clara Whiteside and Frederick Hill. After graduating from Berkeley High School in 1958, Robinson attended the University of California, Berkeley, beginning in the Fall of 1959, where he earned a B.A. in social anthropology in 1963. Robinson then enrolled in San Francisco State University to pursue an M.A. degree in Political Science, at the very moment that the Third World Liberation Front (TWLF) was waging a political struggle for an Ethnic Studies College. He also taught at San Francisco City College. Before he could complete his thesis, however, he decided to transfer to Stanford University’s Political Science Department and work on his doctorate with a focus on political theory. In August of 1967, Robinson married Elizabeth Peters. In 1970, a Leverhulme Fellowship enabled him and Elizabeth to spend a year at the University of Sussex in Brighton, England, where he completed his dissertation, “Leadership: A Mythic Paradigm.” He was awarded the doctorate in 1975. Robinson was a Lecturer in Political Science and Black Studies at the University of Michigan from 1971 to 1973. While in Ann Arbor he and Elizabeth joined a community of progressive intellectuals, including Harold Cruse and anthropologist Mick Taussig. In 1973, he accepted his first tenure-track job at SUNY-Binghamton (now the University of Binghamton) where he joined the Political Science Department and then Sociology. He was appointed chair of the Department of Afro-American and African Studies at Binghamton. In the fall of 1978 Robinson joined the faculty at the University of California, Santa Barbara (UCSB), becoming the Director of the Center for Black Studies Research and a faculty member in the Department of Political Science. 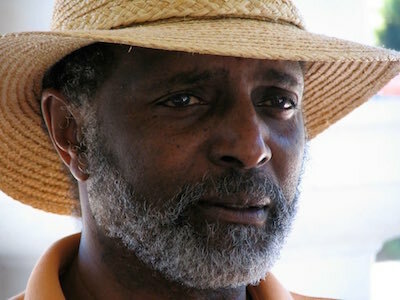 From 1994 to 1997, he served as chair of the Santa Barbara’s Department of Black Studies. He retired from UCSB in 2010. In the late 1970s, Robinson began writing for the journal Race and Class, which included other contributors such as Paul Gilroy and C.L.R. James. In 1980, he and UCSB student Corey Dubin started “Third World News Review,” a radio station program and later a public television show that remained on the air until 2010. In 1983, Robinson’s magnum opus Black Marxism: The Making of the Black Radical Tradition was released. Through a reappraisal of W.E.B. DuBois, C.L.R. James, and Richard Wright, Robinson posits a “Black Radical Tradition” which is antithetical to “Eurocentric” Marxism. The “Black Radical Tradition” is a form of Black nationalism, which is only nominally committed to Marxism. Over the remainder of his career Robinson wrote five other books such as An Anthropology of Marxism and Forgeries of Memory & Meaning: Blacks & the Regimes of Race in American Theater & Film Before World War II in addition to numerous articles on left intellectuals and artists in the United States, Europe, and Africa. Robin D.G. Kelly, “Cedric J. Robinson: The Making of A Black Radical Intellectual,” Counterpunch June 17, 2016; John McClendon III, “Marxism in Ebony Contra Black Marxism: Categorical Implications,” Proud Flesh: New Afrikan Journal of Culture, Politics & Consciousness 6 (2007); Gregory Meyerson, “Rethinking Black Marxism: Reflections on Cedric Robinson and Others,” Cultural Logic: An Electronic Journal of Marxist Theory and Practice 3(2) (Spring 2000).